Today, I will be talking about the differences and the pros and cons of two of the most developed and immigrant friendly countries in today’s world: Singapore and Canada. You might ask why this article isn’t about the Philippines or why am I writing about topics that doesn’t fall under the Philippine or Canadian sphere but I know, if you’ve been following the website for quite some time now, you’ve already seen a lot of different comparisons. Which country is better? Which country has the most opportunities etc.? Now, I guess it’s time to look at other things that is as equally interesting and what do you know? Maybe this may help you in your decision if you’re considering to go abroad. But first, why Canada & Singapore? Well, I chose to compare Canada and Singapore because I stayed and worked in both countries for a considerable amount of time. 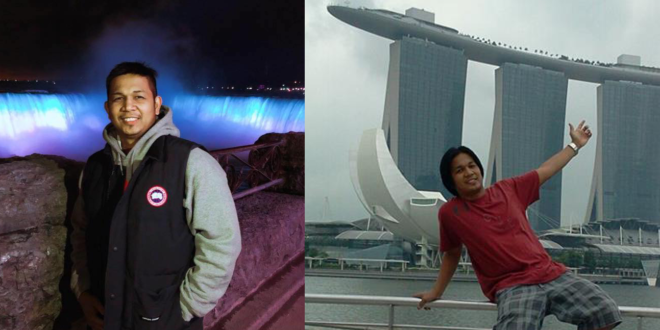 I stayed in Singapore for 5 years and I am currently in Canada and I’ve been staying for almost two years. Both countries provide high income for its people. Both are on the list for the most livable countries in the world. Both boasts of their high but sustainable cost of living and finally, Canada and Singapore are two of the major immigrant destinations for aspiring immigrants. 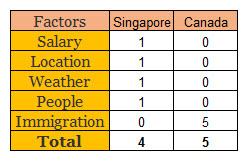 Here are some of the major factors that differentiate Canada and Singapore. Hope this helps in your decision! It is probably the perfect time to compare Canada and Singapore in terms of its economic growth because right now, the dollar to peso conversion rates are ranging from Php 33-35. Not including the future investments and other major infrastructure projects that would also contribute to the economy of the said nations. As a mid-level IT Engineer who worked in Singapore, I can earn 50-70K annually and only pay 2% in taxes. 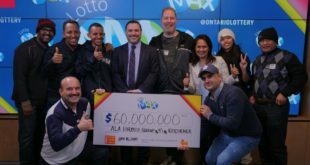 In Canada, I could also make around 50K-70k as well or maybe even more but I’d have to pay 25-35% in taxes and deductions. Just do the math! The Philippines is crazy close to Singapore with both belonging to the same continent of Asia. About 3-4 hrs of flight from point A to point B with an average plane ticket of $200+ depending on the season. But Canada is halfway around the world from the Philippines with flights taking around 13-18hrs with an average plane ticket of $1,000+, again depending on the season. So technically, if you have a $1000 alloted for travel, you can travel from Singapore to the Philippines for 5 times compared to when you’re going home from Canada where you can only fly once with the same amount. In fact, when I was in Singapore, I tried to go back 7 times in a year for vacation to the Philippines. Aside from that, I was able to visit neighbouring asian countries like Indonesia, Malaysia, Thailand, Macau, HongKong without any Visa. In Canada however, you can at least visit 50 states in America provided you have a valid Visa but if ever you become a Canadian citizen and holder of a Canadian passport, you can travel to numerous countries visa-free! Singapore is a country that is very similar to the Philippines (minus the corruption) especially when it comes to weather. Singapore is a tropical country with a very temperate climate that only has 2 seasons: summer season and rainy season. In Canada, you can experience all four seasons: winter, spring, summer and fall. However, this also means that you need to prepare and suit up for all four seasons, most especially the dreaded Canadian winter. Seriously, can you really take such a cold weather? Temperatures during winter dip below -50 here! About 4 to 5 times colder than your average refrigerator! Most of Filipinos hate this season because everything you do seems to take double effort. You have to wear thick clothes, wear winter boots, heat your car up and etc. It’s also difficult to enjoy winter wonderland especially because its hard to travel because of the icy roads. Both countries are diversified and as I’ve said, both are two of the major destinations for immigrants. Singapore is composed mostly of Asians or the CMIO – Chinese, Malaysian, Indians and others and most of these demographic are staying in Singapore for work options just like thousands of Filipinos. The majority of immigrants in Canada are mostly from Europe and Asia and the minority are from other parts of the globe. People immigrate to Canada for several reasons most of which are seeking refuge from war torn countries while others are just simply looking for a better life and to be honest, Canada is almost indescribable without “immigrants”. I mean, when you think about Canada, it’s almost impossible not to think about “immigrants” because Canada won’t be Canada if not for the immigrants living in the country. They work both ways: aCanada needs immigrants and immigrants need Canada. However, one thing is for sure, people on both countries are generally nice (well at least those that I’ve met). Singaporeans are very much like Filipinos in terms of their way of life and behavior whilst Canadians are also similar to Filipinos when it comes to being cordial and friendly. Sigh! You might be thinking that on all 4 factors, all points were given to Singapore but let’s continue reading! This is probably the biggest and the most important factor that I noticed and you should consider when you are planning to migrate. As I’ve said over and over again, both countries are good places for immigration and both are still open in accepting immigrants. HOWEVER, even though the said countries are open to immigration, that doesn’t mean it’s easy to apply and be accepted not to mention the very different process of application in each country. In Singapore, I stayed there for 5 years and I attempted to apply for Permanent Residency. Unfortunately, I was rejected without even a tiny bit of explanation. Yes, it is possible to re-apply but the chances to be accepted are very slim since you have already been rejected and you don’t know the major factors that they are considering in an application. So if you are considering moving to Singpore in the hope of starting a new business, it may be in your best interest to look into a site like singapore-company-registration.net in order to make this transition as easy as possible. Just because I wasn’t accepted, doesn’t mean it won’t work out for you because I’m sure it will. You’ll never know if you don’t try. Meanwhile in Canada, I tried to apply for Permanent Residency and in less than a year, I got approved! I believe choosing your destination between both countries depends on what you want or what goals you have set in life. 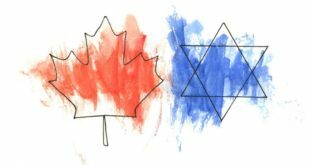 Each country is unique and there isn’t really much to compare about Singapore and Canada because one is really different than the other which also means your experiences in one wouldn’t be the same as your experiences in the other. All I know is, settling in whichever country, may it be Canada or may it be Singapore, is not easy. That’s the one thing that is always sure whatever your decision may be but all of this is just my personal opinion, my personal point of view, a case to case basis and may vary depending on your plan and your action. I’m not God who can tell whether or not your going to succeed in one place. Sometimes it just lies on you. Sometimes it just lies on your determination to succeed however tough the situation might be. Below are my scores for each factor. let’s assume I was approved in my PR application, but the question is, would my kids be automatically permanent residents also? The answer is a big NO. That is the rule based on Singapore’s immigration policy. I have a lot of friends who stayed in Singapore as Permanent Residents but their children were not considered Permanent Residents. When you look at the scoring chart that I made, you will probably notice that the only advantage that Canada has amongst all the major factors was their Immigration Policy but then it’s also noticeable that I gave it 5 points. 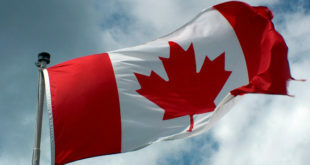 Being a Permanent Resident and the opportunity to become a citizen of Canada outweighed all the other factors that Singapore has no matter how good they were. In short, both countries have their own advantages. 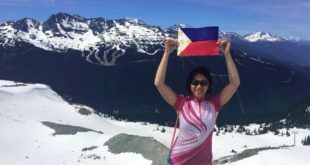 Again, it just depends on what you need and what are you looking for, but to simply put it, if you are looking for a SHORT term plan then choose Singapore just like many Filipinos who go to Singapore for work but if you are looking for a LONG term life plan, then the best option would be Canada.